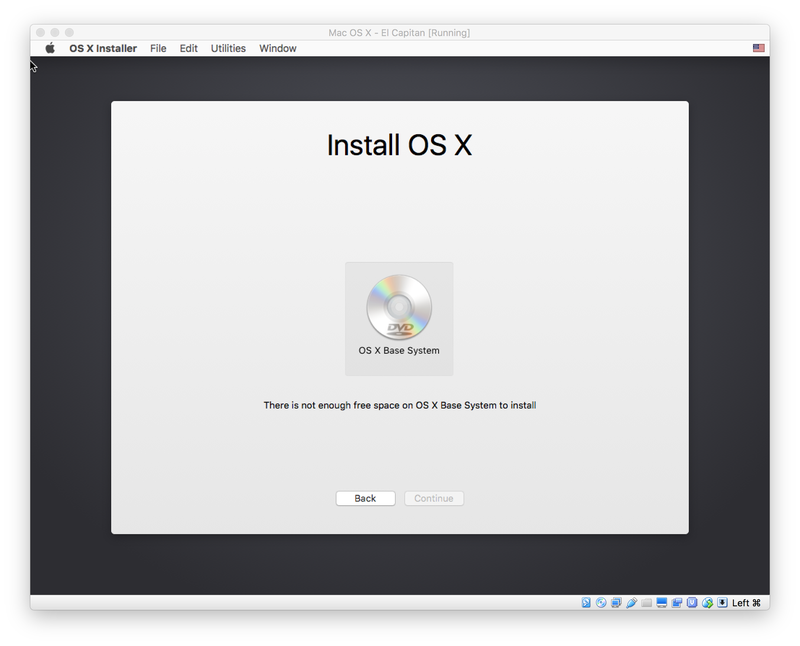 I am installing El Capital in VirtualBox on High Sierra. The reason I am doing this is that I have an enterprise application that stoped working in High Sierra and so I am going the VM route. When I need to select a disk to install the OS, there is no option for me to choose except the dmg file. I am guessing that it might be the APFS on my MacBook Pro that is causing the problem but I have no solution. I tried using a USB external drive but it does not appear too after plugging in. Well I just figured out that you have to click view>all devices in Disk Utility before you can see the virtual drive and format it or install to it! Not the answer you're looking for? Browse other questions tagged el-capitan install high-sierra virtualbox . Order of operations on clean High Sierra install: APFS Encryption or Filevault? Both?